The Chauvet Cave complex profiled in Cave of Forgotten Dreams is one of the great wonders of man but not open to the public due to potential damage to its fragility. 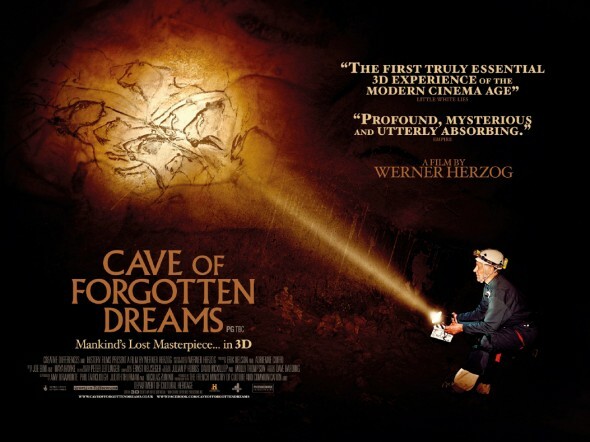 Now Werner Herzog, in his first 3-D film, has been granted rare access into the caves to explore one of the great wonders of the dawn of man. We begin with a bit of background: in 1994 three scientists come into a previously unexplored cave. Within it, a miraculous discovery: the earliest cave paintings ever discovered, brilliantly preserved, along with fossilized remains and footprints of long-lost animals. The cave itself is highly restricted: it is not open to the public and Herzog and his crew were highly restricted in how they filmed. They could only film for four hours a day, could not depart from an established, narrow walkway, had to wear special clothing and the crew was watched at all times. However, the footage inside the cave itself is simply remarkable. The cave paintings appear so fresh and new that if one did not know, one might have thought they were recently made. Moreover, the fossils, including footprints of a child, bring a great connection between us and our distant ancestors. We also get some beautiful imagery of the natural world within the Chauvet Cave: the light reflecting appears so beautiful and otherworldly. However, Cave of Forgotten Dreams doesn't just deal with the Chauvet Cave itself. We also get interviews with those who work at documenting the cave and who study the times of those who created the paintings. Among the highlights is the interview with Wulf Hein, an "experimental archaeologist" who appears on screen in full caveman garb, which may be historically accurate but adds that bizarre Herzogian touch on things. 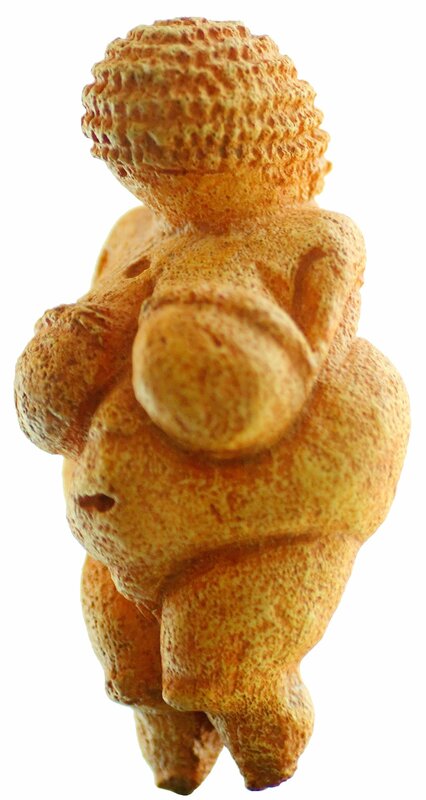 As is his want, Herzog digs deeper (no pun intended) about the world of the Chauvet Cave painters, including the idealization of the female form as they would have seen it. "There seems to have existed a visual convention extending all the way beyond Baywatch". One wouldn't have even imagined Herzog would even have heard of Baywatch, let alone know what it was best known for. Then again, he is German and Baywatch star David Hasselhoff is a big star there. We learn near the end of Cave of Forgotten Dreams that there are plans to recreate the Chauvet Cave as a theme park for tourists, even to attempt to recreate the odors within the cave. In one way, it makes sense: the Lascaux Cave has been closed since the 1960s because the constant stream of visitors damaged the paintings. However, there does appear to be something odd about the need to recreate locations, perhaps bordering on kitsch. Perhaps Herzog could have explored that aspect (no pun intended). He might also have done without the coda in the post-script: at the Rhone River Nuclear Power Plant, there is a greenhouse that contains albino crocodiles. Herzog speculated on how the crocodiles would think of the Chauvet Cave paintings, and I think about how alien it would look to them. I don't think those are flaws per se, but how the albino crocodiles tie into the earliest known cave paintings of extraordinary craftsmanship he doesn't seem to answer. Where Cave of Forgotten Dreams excels is when we can see not just the paintings themselves, but when we are reminded that these were individuals with life, not dusty shadows from a long-lost past. We see this when our attention is drawn to a series of hand marks in red. We know these hand prints were from the same person because of the "crooked little finger" the prints have in common. We find that this unknown figure was attempting to create something, and that makes him similar to a Herzog, a man who also attempts to create art. Sadly, I was not able to see Cave of Forgotten Dreams in 3-D. However, one of the glories of the film is that nothing appears lost in 2-D, so the film stands on its own. Cave of Forgotten Dreams does I think tie in with Herzog's fascination with creativity and with obsession, this time about leaving a mark for the future, with the child's footprint inside the cave, in a literal sense. The film explores the need to create, to express one's world to the best of one's ability. It has beautiful imagery of a world we will never know, and a place we will never be able to go into. Man creates, man endures, Herzog seems to say, and Cave of Forgotten Dreams is our entry into this lost underground world.